Humans are not the only group on this earth to suffer from Middle aged spread. Motor cars do as well. The most obvious is the badge marketed as MINI by its manufacturer BMW. The latest iterations are so far removed from being “mini” that it is laughable. If your car was Sir Alec Issigonis’ groundbreaking ADO 15 Mini, this new MINI makes a mockery of the terminology. 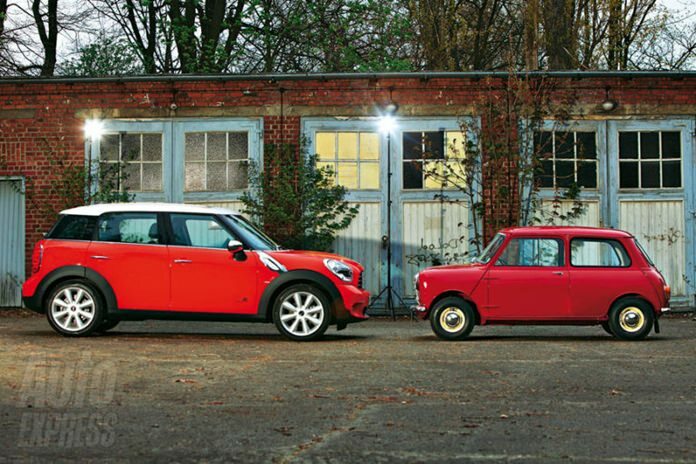 Mini and its big brother MINI. And BMW’s have themselves grown larger. Look aat today’s 3 Series compared to the compact 3 Series sold up to the late 70s. Of course, BMW is not the only manufacturer to have stacked on the fat. Look at today’s Toyota Corolla, compared to the Corolla of three decades ago. The Honda Jazz is another fine example of growing bigger with age. No longer a small car, it could almost be mistaken for the Innova from the same stable. What did we learn from the Spanish Grand prix?